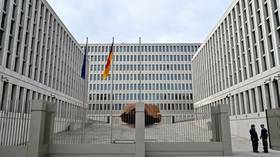 After occupying a Nazi-linked villa for decades, Germany's intelligence HQ has finally moved to central Berlin. But critics are still arguing what's worse here - its enormous size, exuberant cost or bulky architecture. 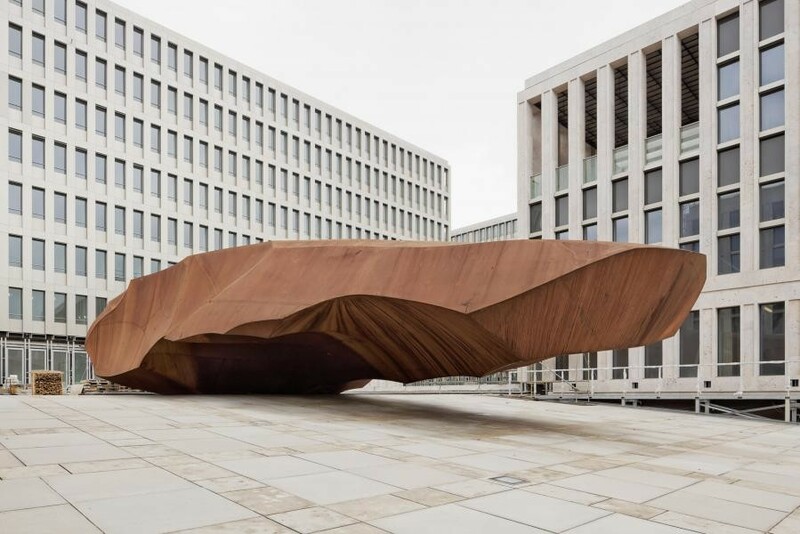 The central office of the Federal Intelligence Service (BND) in downtown Berlin was officially opened on Friday. Chancellor Angela Merkel thanked BND personnel for their work "so that millions of Germans can live in safety,"noting that the nation's spy agency needs to stay "strong, efficient." The agency's previous home was a villa built by Nazi chief Martin Bormann in the countryside near Munich, Bavaria. This new site has housed police barracks, destroyed in WWII, and then a sports stadium, demolished in the 1990s. The decision to relocate the HQ stemmed directly from the aftermath of German reunification, as political institutions were moved from West Germany's capital, Bonn to Berlin, the Defense Ministry's former state secretary, Willy Wimmer told RT. Apart from its outstanding size, the construction features a massive monolith-like sculpture near the front entrance. The German press dubbed it ‘The Thing'. It "conveys a subtle hint of BND's function: casting light on the hidden and safeguarding secrets," the agency's website said. The project was blasted by the media because it took 12 years to build and for its "explosive cost" as the price tag swelled from €720 million to whooping €1.1 billion ($1.25bn). It was further marred by several embarrassing incidents during construction. In 2011, BND admitted that the building blueprints were stolen. In 2015, thieves stole freshly-fitted water taps, causing massive flooding of the structure. The building's imagery also sparked debates. 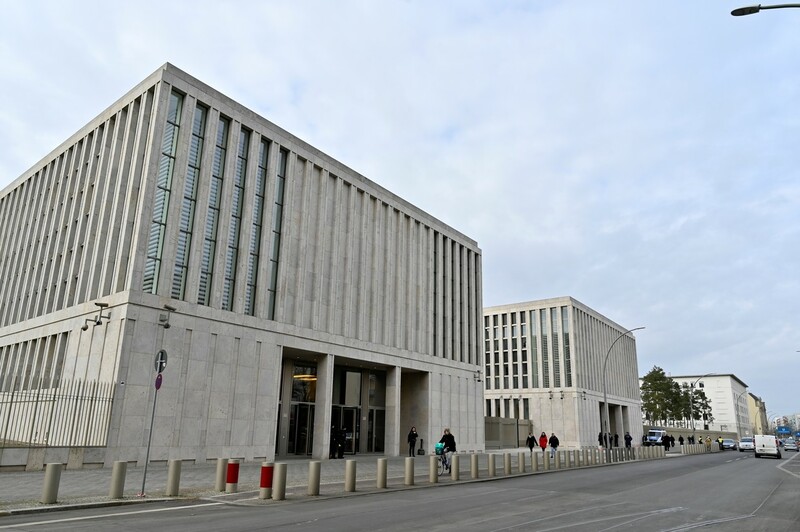 Writing for Berliner Zeitung, renowned architecture critic Nikolaus Bernau noted that the structure evoked the "luxury of a prince's palace," while at the same being reminiscent of the Stasi, the controversial communist-era security service. The building is shaped like "a monument of power," he argued, noting that the HQs of the CIA, the MI6 and Russia's FSB don't employ so many "symbols of power" like the office in Berlin. An online poll at the paper's website showed that 50 percent of users thought that the structure "looks awful," with 29 percent saying the opposite. "I don't share the widespread opinion that the building is particularly ugly," political scientist Everhard Holtmann, who lives nearby, told the media. He called the new office "a balance between economy and esthetics," albeit "not fully successful." Former BND chief, Gerhard Schindler, also raised concerns that the agency's technical surveillance unit remained at the old site in Bavaria. He argued that it will now complicate logistics, since the HQ moved to the capital. Some view the relocation of the BND's HQ from the Nazi-linked site as an opportunity for a fresh start for the agency. A column for the state-funded ZDF suggested that the move into the "fortress-like" office symbolized "cultural change" and modernization within the secret service, as the Cold War-era veterans are getting replaced by a younger generation of agents. Lawmaker from the Greens, Konstanin von Notz, expressed hope that the new office will mark "a chance for a genuine new beginning." His colleagues, along with the Left party, had been very critical of the BND, accusing it of a lack of transparency. "The government didn't want BND to go to Bonn. In Berlin - this is different. The future question will be who will control who ? The BND will control the government or the government will control the BND ?"